This rising New York comedian brings the gentle absurdist humor of his television series to an oddball variety show at Brooklyn’s Union Hall. Given its lineup of superviolent boys’ club mayhem, you’d be forgiven for not keeping up with the new shows on Cartoon Network’s late-night programming block, Adult Swim. Unfortunately, that means you’ll have missed one of this year’s most obscure, best-reviewed new comedies, Joe Pera Talks With You. 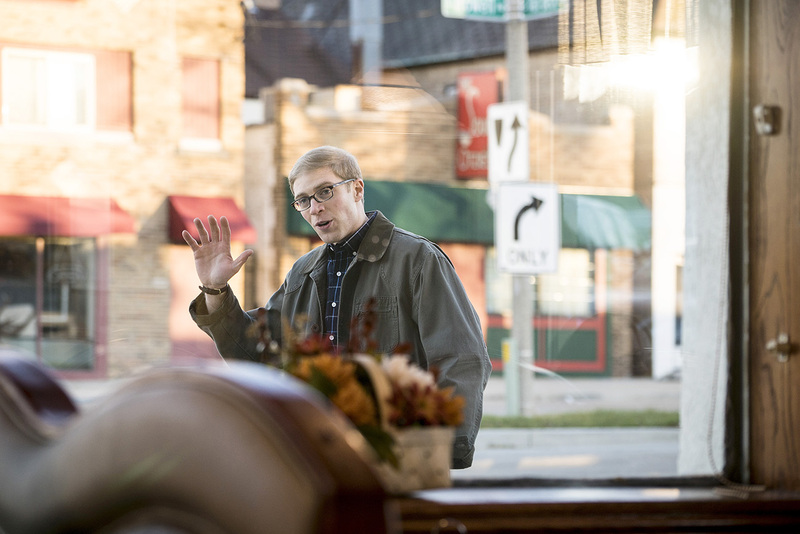 Local comedian Joe Pera has made a unique career out of playing a clever, reserved Midwestern character who remains smitten with life’s simple pleasures. Pera’s comedy is devoid of irony or cruelty and trades heavily on his playfully self-deprecating, halting delivery. Some of Joe Pera Talks With You’s best episodes include his tips on how to fall asleep, thoughts on fireworks, and infectious excitement on hearing the Who’s “Baba O’Reilly” for the first time. Each 15-minute episode is surprisingly clever; there’s a refreshingly delicate, kindhearted tone in the script and the performances that feels rare anywhere else on television. As with any oddball niche entertainer, Pera has built up a considerable Internet following, but he’s also a regular fixture on the New York stand-up scene. For his new Fall Evenings variety shows at Union Hall this weekend, Pera will be inviting a number of talented funnymen and women to play onstage, including Cole Escola, John Early, and his talented collaborators on Talks With You, Jo Firestone and Conner O’Malley. For aficionados of the show, Fall Evenings will be a pilgrimage; for newcomers to Pera’s white-bread absurdity, it’s an opportunity to see one of comedy’s next big stars. Want more recommendations from NYC’s leading experts? Try our mobile app. The very best of New York, wherever you are or plan to be.